We’re sharing our tips to creating the perfect autumn planter for your home. Autumn is here and it’s time to switch things up! Our team at Flowers Talk Tivoli love to go out to our clients’ homes and help them show off all the fall decor! As much as we love our summer plants, we know that with the turn of the seasons they are starting to look overgrown and tired. It’s time to clean out those sad summer planters and replace them with beautiful hardy fall flowers. Because Fall plants will last until a deep frost or about mid-November, they will not grow or fill out the way our summer planters do. That’s why when you’re preparing your planters you will want to make them very full to get that look and feel that you want. Want to know a trade secret? When we want to add more texture and interest, we like incorporating everything from millet, wheat, birch branch saplings, or even a pumpkin or two. There is no limit to what you can use to create your perfect Fall look. 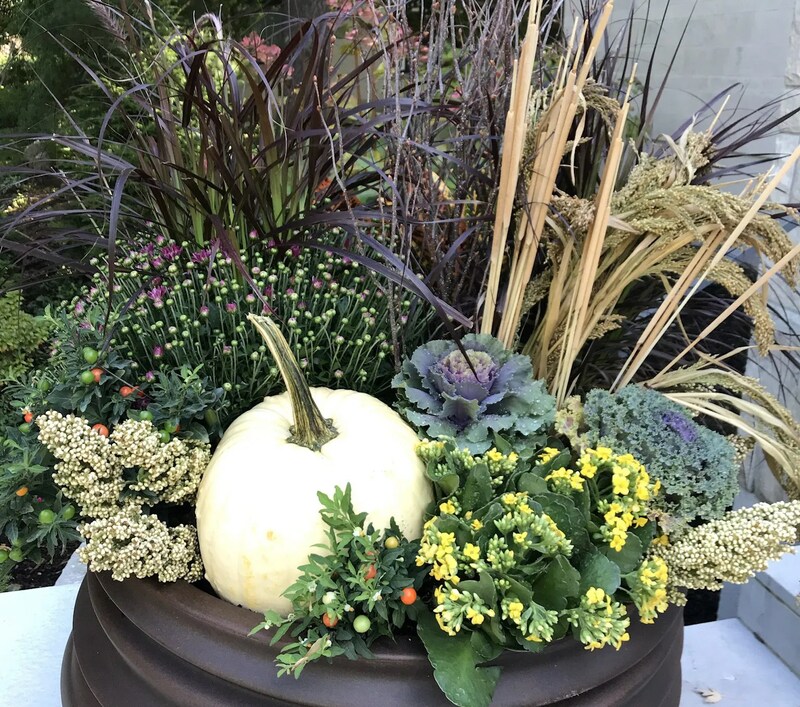 If you’re ready to try this for yourself and would like some inspiration, check out our Facebook and Instagram pages for great examples of Fall bouquets, centrepieces, planters, and more!